Massé Incorporated was founded February 11, 1991 and was originally called the Waikato Snooker and 8 Ball Club. The Club was set up by a group of players who loved to play snooker, billiards and pool. Over the years we have grown from one Club in Hamilton to having four additional branches in Hawera, Glen Eden, New Lynn and Pukekohe. Our membership has also grown from a few dozen members in 1991 to over 13,000 in the past membership year. The achievements of our members over the years has been phenomenal with numerous club members winning nearly every New Zealand title available; representing the club or New Zealand overseas; playing professionally in the UK, and even winning numerous world titles across the sports of snooker and pool. With the Club’s expansion beyond the Waikato region, it made sense to change the Clubs name to a name that reflects cue sports, hence the name Massé. This is the name of a type of cue stroke which is done by hitting the cue ball off centre with the cue held nearly vertically, causing the ball to move in a curve around another ball before hitting the object ball. Ironically, we don’t allow Massé shots to be played on our tables due to the damage it causes on our table cloth. 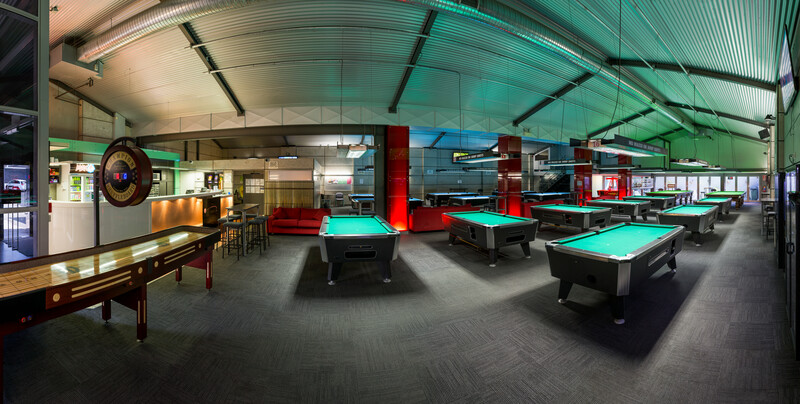 Massé offers a range of facilities and activities for its members including cue sports and recreational equipment and products. These opportunities are available not only to Club members but also the general public. Massé is the New Zealand distributor and/or dealer for most of the world’s leading brands in cue sports including Riley, Predator, Valley, Poison, McDermott, Dynamo and much more. Massé is also the New Zealand Charter Holder for VNEA Pool Leagues which organises and runs VNEA 8 Ball Leagues within New Zealand. Massé is also responsible for the selection of the New Zealand Senior and Junior teams that travel to the United States each year to compete in the VNEA World Pool Championships. In 2019 New Zealand will be represented by 26 players at the World Champs! Our Club provides a safe and welcoming environment for its members across the Waikato, Franklin, Taranaki and Auckland regions. We strive to make Masse Clubs a fun place for our members to achieve the level of skill that they aim for. No matter whether our members play socially or competitively, we endeavour to have the best possible resources and support.